In October 2014, a 90-year-old reservoir at the Peterborough water treatment plant experienced a leak event. A detailed summary of the condition assessment and short-term structural repair efforts was published by Environmental Science & Engineering Magazine in the July/August 2015 issue. This article is an overview of the long-term rehabilitation follow-up work to help further extend the service life of the reservoir. 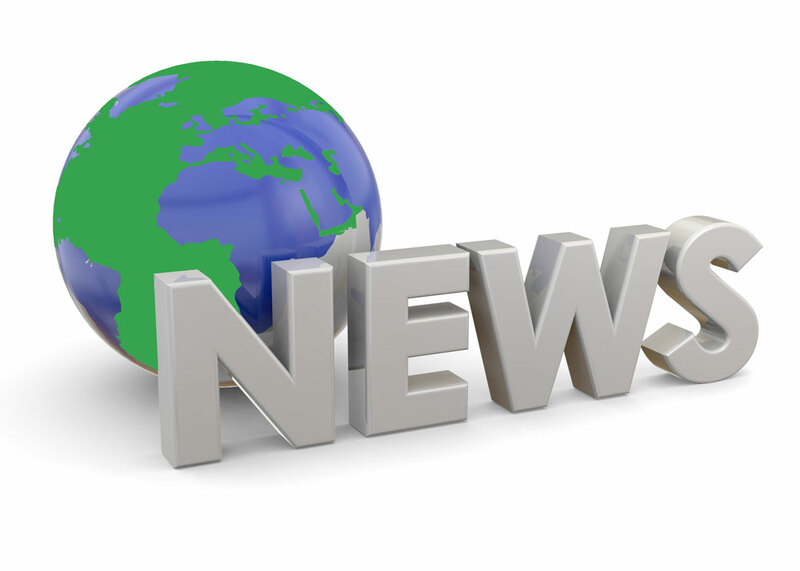 At the end of 2015, Peterborough Utilities Commission (PUC) retained R.V. Anderson Associates Limited (RVA) to provide consulting engineering services for the long-term rehabilitation of its 90-year-old reservoir. This allowed for continuity from the initial short-term repair efforts through to commissioning of the fully rehabilitated reservoir. The scope of RVA’s services included design, tendering, contract administration, and site inspection during construction. 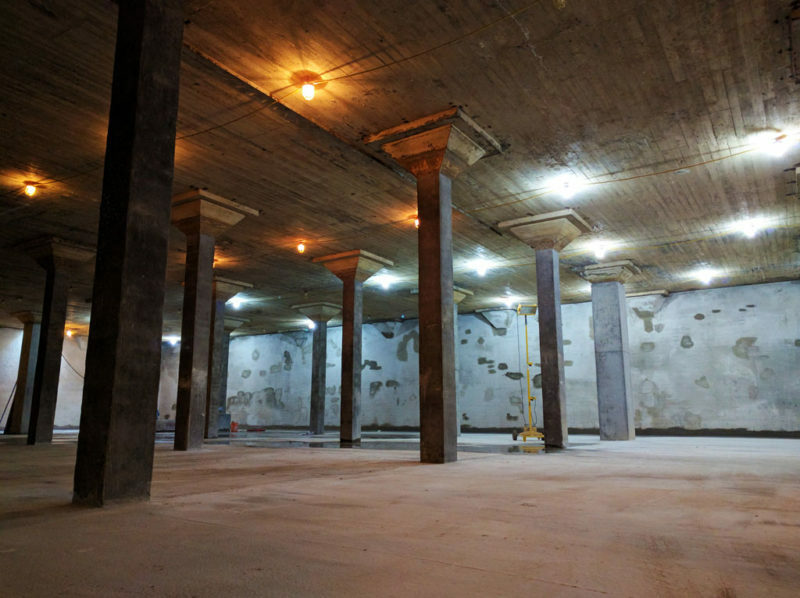 The general project scope included temporarily decommissioning the 50 m2 by 5 m deep buried concrete reservoir, jacketing several concrete columns inside the reservoir, providing for structural and process removals and modifications, pressure washing and rehabilitating concrete surfaces, and pouring a new concrete floor topping. Consulting engineering services commenced in January 2016 and construction started in June. This quick turnaround was essential to ensure that PUC had sufficient water storage capacity. Work was completed on schedule and on budget. The construction budget was $2,900,000. This is roughly a third of the cost of an alternative solution to demolish the existing tank and build a new one in its place. The fully rehabilitated reservoir is likely to remain operable for another full life cycle. Therefore, the rehabilitation solution provided high value for the cost. Peterborough’s 90-year-old reservoir had serviced the City well beyond its expected life span. Prior to the long-term rehabilitation project, the reservoir had undergone short-term repair efforts. This included performing a potable water dive, sealing over 360 m of floor cracks with polyurethane, and concrete pressure grouting over 11 m3 of voids that were present underneath the floor slab of chlorine contact tank #1 (CCT#1) and clear well #3 (CW#3). At that time, only CCT#1 and CW#3 were accessible because of the reservoir bypass operation. 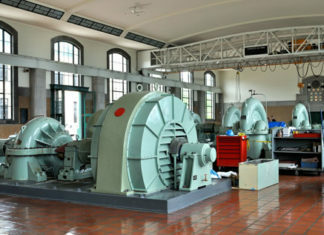 After project kick-off, when the reservoir was fully decommissioned, it was possible to perform a visual condition assessment inside the chambers. 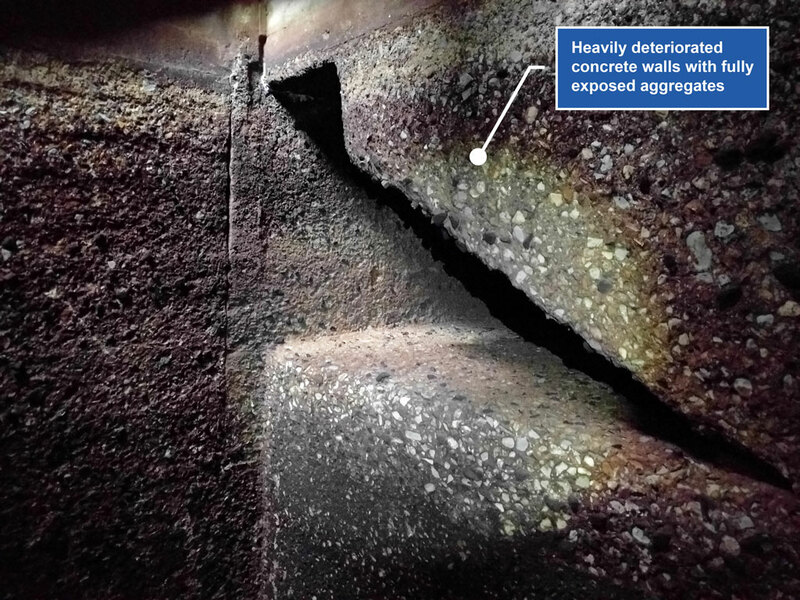 In the influent chamber, across all concrete surfaces, heavy deterioration had led to fully exposed aggregates. This left the walls vulnerable to further, and faster, deterioration of the concrete and steel reinforcement. The highest chlorine dosage in the reservoir occurs in the influent chamber, which corresponds to the type and extent of the deterioration. In the effluent chamber, across all concrete surfaces, a thin layer of alum residue was present. This is consistent with other portions of the reservoir prior to the short-term repair efforts. It appeared that the alum residue had protected the concrete surfaces from further deterioration. However, the residue was undesirable for operations. 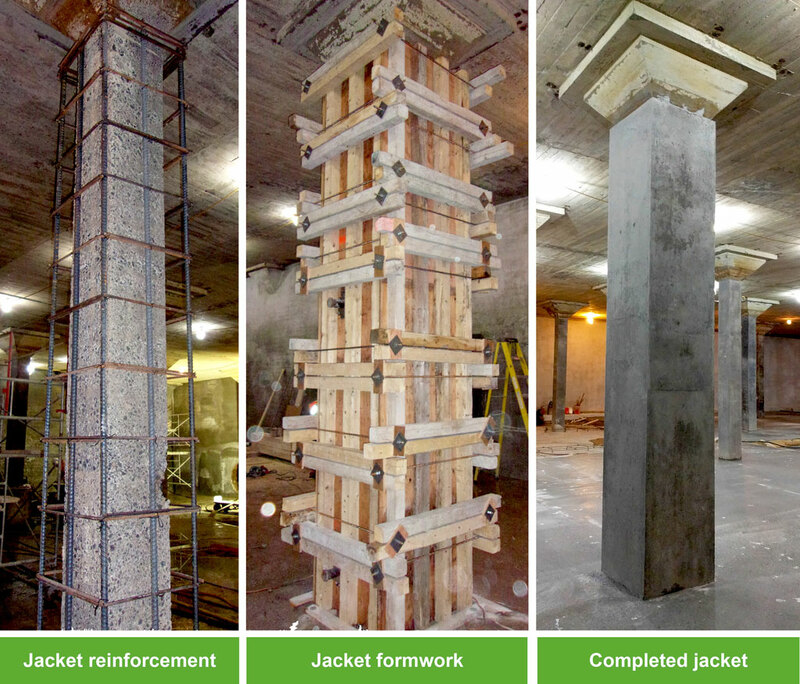 Of the 70 concrete columns throughout CCT#1 and CW#3, 10 were heavily deteriorated across their full height. In some instances, steel reinforcement was exposed and showed signs of corrosion. Curiously, most of these 10 columns were located sequentially along the same reservoir grid line. It was suspected that they had been poured with a different concrete mix design that was unintentionally susceptible to chlorine attack. The tender documents included a provisional allowance for 10 additional column jackets in case previously unknown heavy deterioration was uncovered after pressure washing. In general, some minor cracks were identified in the slabs and walls, and all concrete surfaces having previously been in contact with chlorinated water had mild surficial deterioration of about 5 mm. Neither the cracks nor the deterioration were structural in nature. Therefore, it was important to rehabilitate the 10 heavily deteriorated columns before addressing the serviceability issues. The heavily deteriorated columns required more than simple surficial repairs. The chosen structural design included full-height, 175 mm thick, steel-reinforced concrete “jackets” that encapsulated the existing columns. The jackets were keyed into the existing floor below but terminated at the upper column capital thickening. 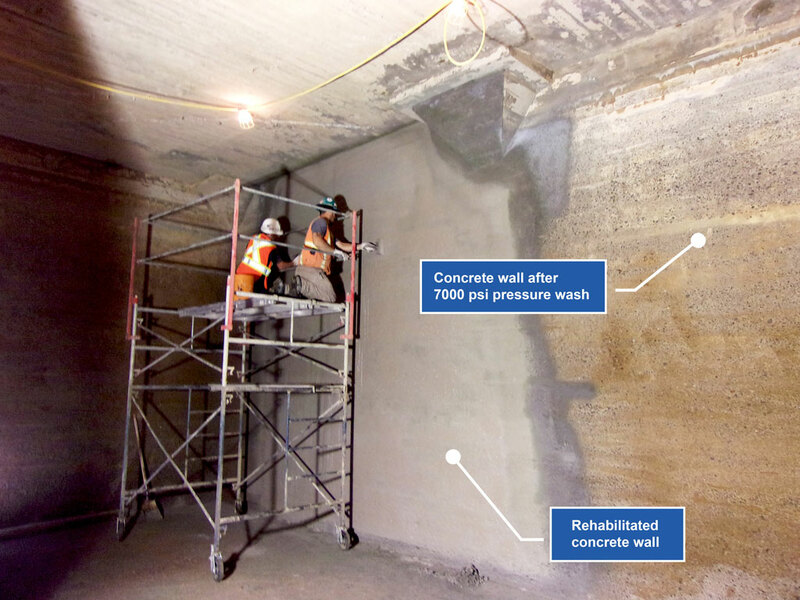 The jackets required a high-performance concrete mix due to constructability challenges and the inherent chemical environment in the reservoir. The mix type was Agilia self-consolidating concrete by Lafarge. This allowed for pumping through the bottom and mid-level of the formwork without having to vibrate the concrete. The concrete exposure class was C-XL to help resist future chemical attack. 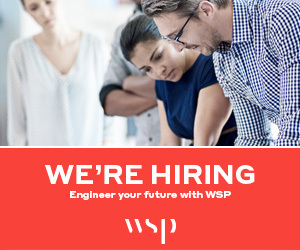 The compressive strength was 50 MPa at 56 days, which is the minimum strength available for the chosen mix and exposure class. Continuous wet curing was specified for seven days. Upon formwork removal, the concrete surface was exceptionally smooth and exhibited no shrinkage cracks. A variety of structural and process work was completed to facilitate rehabilitation efforts and upgrade operations. A flow meter chamber was constructed adjacent to the reservoir. Replacement of chemical lines occurred within CCT#1, CW#3, and the small influent and effluent chambers. The existing reservoir was retrofitted to connect to the new nearby reservoir with a 1200 mm diameter concrete pressure pipe, complete with an isolation sluice gate. New baffle curtains were installed in a different layout to improve the baffle factor and reduce stagnation zones. Finally, all existing metal gates and valves that were leaking were refurbished or replaced. A small, unused chamber connected to the existing reservoir was abandoned by filling it with cellular grout. This was to permanently seal it from the rest of the reservoir, thus preventing water from leaking in, becoming stagnant, and affecting the overall water quality. The suspended aeration steps were removed, as they were no longer necessary for operations. Portions of the roof slab were removed to either create new access hatches or to seal existing openings. Some deteriorated areas of the floor slab were removed, as shallow patching would have been insufficient to prevent leakage through the floor. Ultimately, removals and modifications amounted to a low percentage of the project cost. It was necessary to re-establish concrete surfaces that had deteriorated from contact with the chlorinated water. For heavy deterioration greater than 40 mm, pourable concrete and formwork was used. For shallow deterioration between 10 and 40 mm, the chosen built-up patching material was SikaTop 123 PLUS by Sika. Regardless of the depth of deterioration, all concrete surfaces were coated with a thin, cementitious, chemical-resistant parging (surface coating) layer. All rehabilitation products were NSF 61 certified for potable water use. The surface was prepared via 7,000 psi pressure washing. 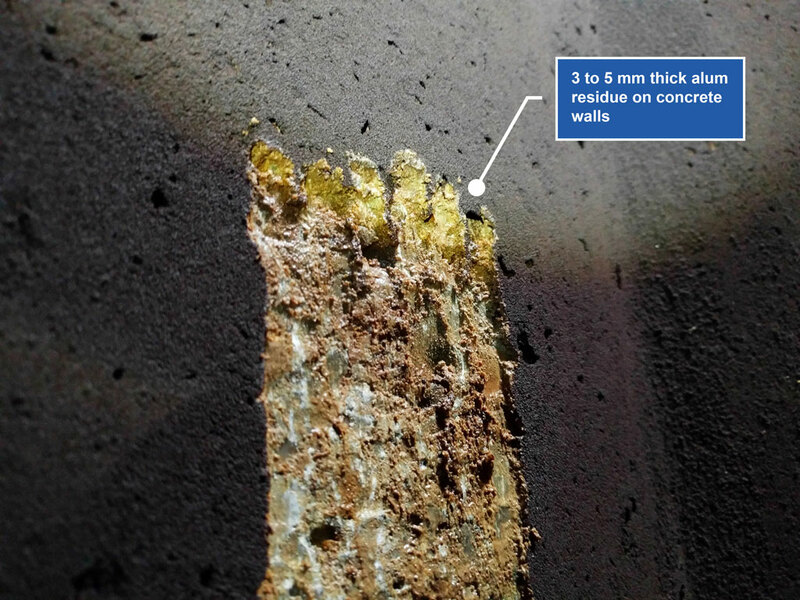 The 90-year-old concrete was easily able to withstand this pressure at close range, even with a millimetre-thin nozzle applied to heavily deteriorated areas. Sand-blasting was not an option, as concrete surfaces must be clean of debris for rehabilitation products to properly adhere. The minimum specified surface roughness was CSP-3 as per the International Concrete Repair Institute. The maximum allowable depth of concrete removal was 10 mm. During tendering, these and other performance criteria were helpful to the bidders in establishing a base scope of work. The project specified that a 2 m³ mock-up be developed with the concrete rehabilitation products. This was to increase PUC’s confidence in the performance of the approved applicators and the chosen products. A strict contractual condition was that no products could be applied to the remainder of the reservoir until RVA and the product manufacturer had approved the quality of the mock-up. Ultimately, the column and wall mock-ups were completed successfully. For the columns, the finishing parging layer was SikaTop 123 PLUS, complete with a steel trowel application and smooth steel float finish. 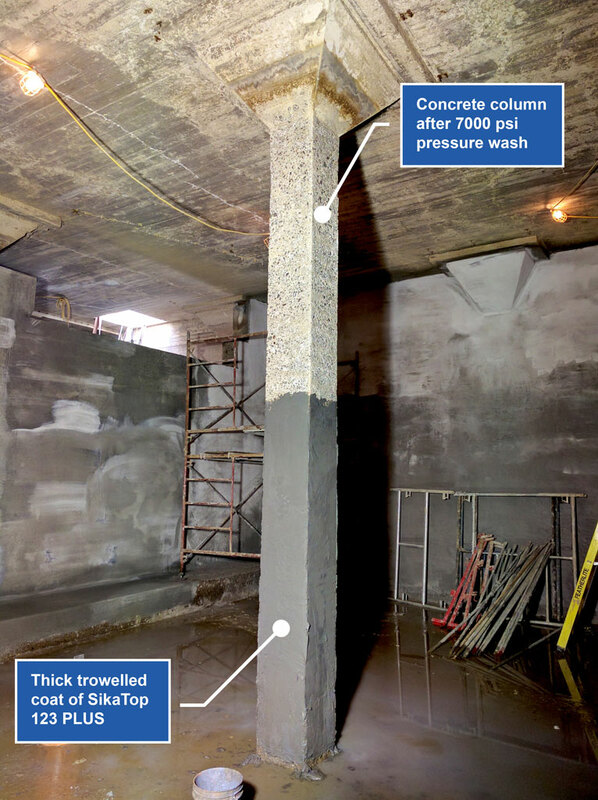 Waterproofing was not required for the columns, as the parging layer was sufficient to protect the base concrete from further deterioration. A smooth finish is desirable for a water reservoir, as less surface area equals less potential bacteria accumulation. For the walls, the underlying parging layer was CEM-KOTE CW PLUS extended with masonry sand. Although this product has its own crystalline waterproofing properties, a finishing waterproofing layer of CEM-KOTE FLEX ST was also used. Both of these products are by W. R. Meadows. 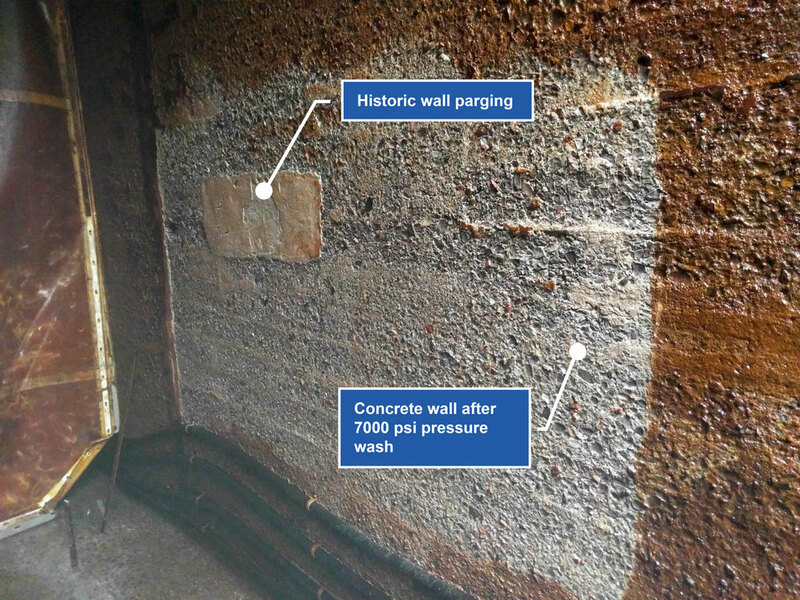 To help reduce leaks out of the reservoir, both products were applied to the positive pressure (inside) face of all perimeter walls. 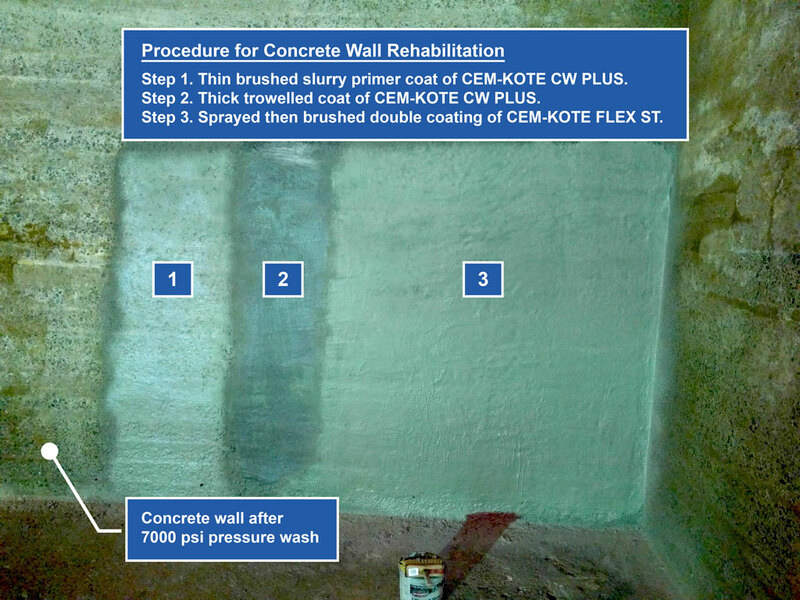 The parging application sequence was as follows: 1) thin brushed slurry primer coat of CW PLUS; 2) thick trowelled coat of CW PLUS; and 3) sprayed then brushed double coating of FLEX ST.
A notable benefit of the wall parging material was the ability to embed between built-up layers a reinforcing polymeric fabric that could bridge small cracks. This was used to further mitigate leaks out of the reservoir. For this rehabilitation work, the cost to pressure wash, parge, and waterproof the walls was roughly $275 to $325 per square metre. A rough production rate was 1 to 3 square metres per hour. Through the previous short-term repair efforts, polyurethane was injected into hundreds of linear metres of floor cracks. However, polyurethane is not intended to provide a long-term waterproofing solution. 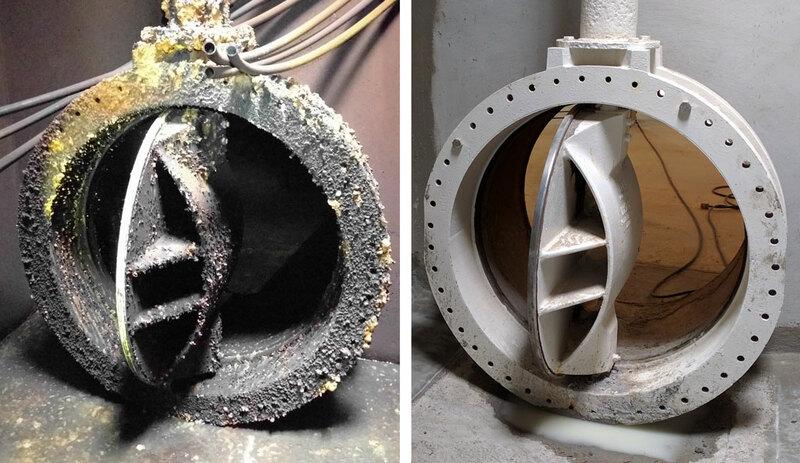 Typically, polyurethane is ineffective beyond five years of service. Therefore, a cost-benefit analysis was undertaken to determine the best waterproofing solution for long-term performance of the existing floor slab. Two options were considered: 1) pour a topping slab on the existing floor: and 2) demolish the existing floor and pour a new one in place. The first option was superior in cost and schedule, and PUC accepted the minor reduction in storage volume. 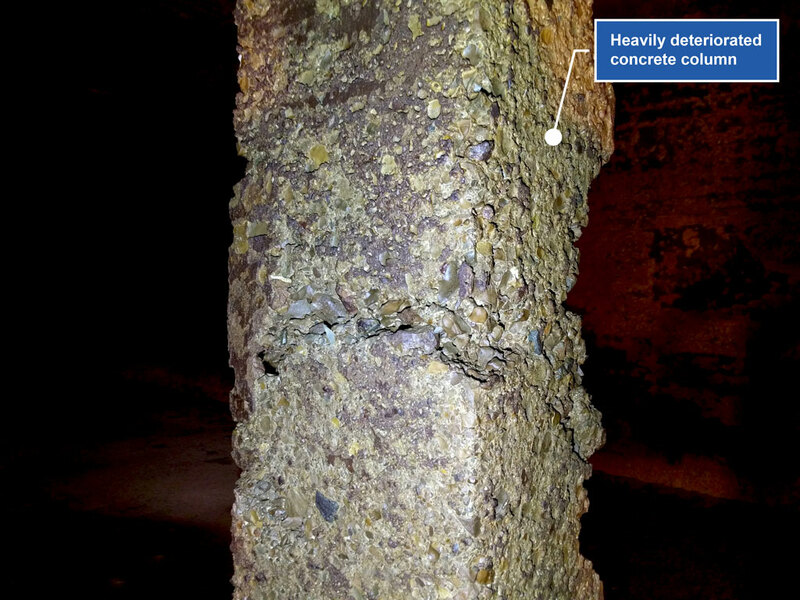 A standard concrete mix was used with a C-1 exposure class and 35 MPa compressive strength after 56 days. Preventing leakage through the existing floor slab was a major priority for PUC. Therefore, the topping thickness was a robust 200 mm, as thinner unreinforced toppings can delaminate and crack. The topping was dosed with 35 kg/m³ of macro steel fibre reinforcement by Bekaert. This dosage, for the specific type of selected steel fibre, is equivalent to minimum conventional steel reinforcement, and was designed to provide superior crack control. Alternative reinforcement types were considered, including poly-synthetic fibres, welded wire mesh, and conventional steel reinforcement. The latter two were rejected because of cost, schedule, and constructability, as there were significant access limitations into CCT#1 and CW#3. PUC rejected the synthetic fibres, as they lacked NSF 61 certification and could be exposed at the topping surface. Weeks ahead of the first topping pour, a trial pour was completed off-site. The intention was to validate that the concrete mix design, fibre dosage, and placing/finishing techniques would meet the high-performance standards outlined in the specifications. The test was successful and yielded valuable insight into how small adjustments to the mix and execution can lead to significant improvements in performance. The fibres were dosed at the concrete batching plant rather than on site. This allowed for the concrete supplier to maintain tight quality control. On site, the concrete was loaded from the mixing truck into a concrete pump. The concrete was then transported into the below-ground reservoir via a conventional flexible “elephant trunk” hose. Ahead of concrete placement, the existing floor slab was pressure washed and then prepared with a wet binding mix of cement and water. At times, the fibres formed “icebergs” within the mixing truck, pump, and hose. This was corrected in two ways: 1) by adding superplasticizer at the concrete batching plant; and 2) by vigorously spinning the concrete mixer immediately ahead of pumping. 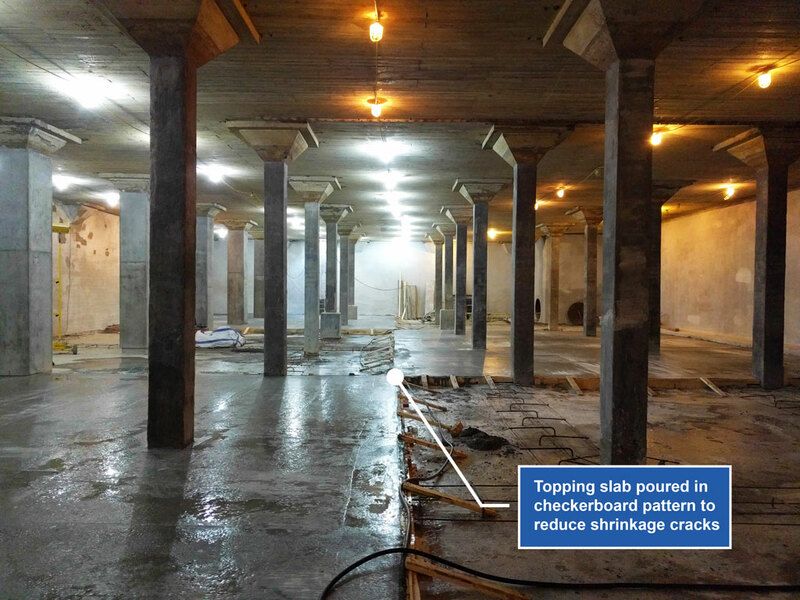 To help reduce shrinkage cracks, the topping was poured in a checkerboard pattern. Construction joints, complete with PVC waterstops, were used in between sequential panel pours. A continuous, hydrophilic bentonite waterstop was used along the perimeter of the wall/slab interface. Steel reinforcing dowels were used to anchor the topping to the existing walls and overtop cracks in the floor slab that had previously been injected with polyurethane. The topping was finished first with a wooden bull float and then a magnesium steel trowel to prevent sticking. A continuous wet cure was specified for 10 days. Because of the nature of this particular below-grade reservoir, optimal curing conditions were present, including a consistent temperature, high moisture level, and protection from the wind. This yielded a superior, smooth concrete finish with virtually no shrinkage cracks. Any cracks that were found in the topping were short and less than a few millimetres in depth. Overall, this project was a success for all stakeholders. Due to the comprehensive long-term rehabilitation work that was completed, coupled with PUC’s effective asset management approach, this reservoir should remain in serviceable condition for another life cycle. There are many benefits to maintaining existing infrastructure and extracting maximum value from available assets. If a deteriorated, leaking, 90-year-old reservoir can be rehabilitated to working conditions, then perhaps other facilities can recuperate significant value from their assets. Mark Bruder, P.Eng., is with R.V. Anderson Associates Limited. This article appears in ES&E Magazine’s June 2017 issue.